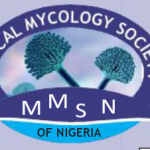 The Medical Mycology Society of Nigeria has held its first international conference in Lagos, Nigeria from the 10th to 12th of April, 2019 at the Nigerian Institute of Medical Research (NIMR). The conference themed ‘Managing Serious Mycoses: Circumventing Challenges in a Resource limited Country’ had in attendance speakers and participants from within and outside Africa. At the opening ceremony, the keynote address was delivered by the President of the International Society of Human and Animal Mycology, Professor A. Chakrabarti. Dr Christine Mandengue from Cameroon and Bright Ocansey from Ghana shared their experiences of managing mycoses in Cameroon and Ghana respectively, while Dr Rita Oladele, president of MMSN narrated the journey so far in Nigeria. Highly stimulating plenary sessions on diagnostics and Candida infections also featured on the first day of the conference. Participants were engaged in a highly stimulating talk about mycetoma, now included in the WHO Neglected Tropical Disease list by Prof. Fahal from Sudan. The day ended with a cocktail event, where participants were able to unwind to a live band and delicious canapés. The second day of the conference featured a world class session on AIDS related mycoses and advanced HIV disease. The problems of diagnostics and medication availability were thoroughly deliberated by an expert panel which included Alex Jordan from CDC, Atlanta, Prof Akanmu, Dr Claire Hoving of the AFGrica unit in South Africa and Dr Ikechukwu Amamilo. Day 2 also featured a session on pulmonary mycoses and aspergillosis, just after poster presentations. A highlight of the entire conference was the formation of the Pan-African Fungal Working Group consisting of a board with members from Nigeria, Sudan, Ghana, Cameroon, Kenya, Uganda and South Africa. The group will be affiliated to ISHAM and will work to organise trainings in the region as well as collaborate on mycology related projects. The prize for best abstract went to Mr Solomon Obot for his work mapping out the molecular epidemiology of clinical and environmental strains of Cryptococcus in Calabar. The maiden edition of MMSN conference was a resounding success attracting delegates from every part of Nigeria, other Africans and indeed the world. It was preceeded by an equally successful pre-conference workshop where participants had extensive hands on practicals with both yeasts, filamentous fungi and immunodiagnostics.